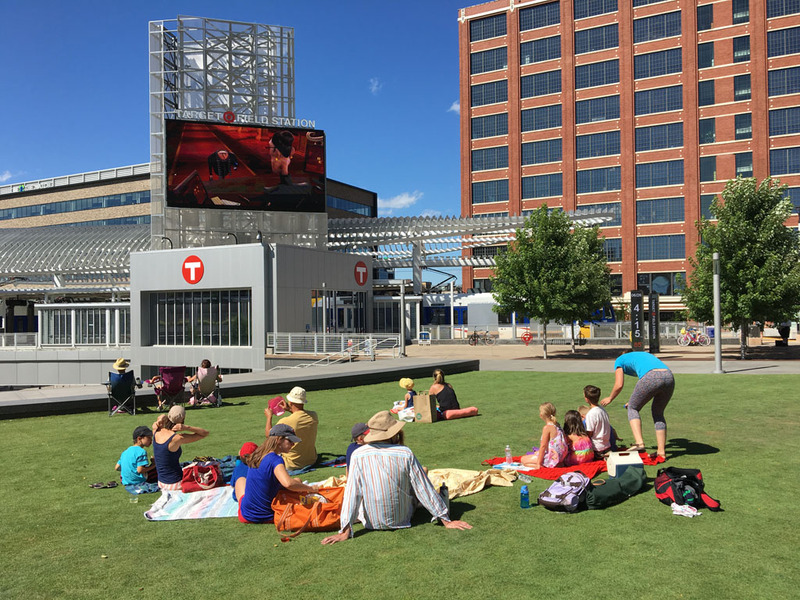 Enjoy outdoor movies, trivia and fitness at Target Field Station (335 N. 5th Street) and Hennepin County Government Center South Plaza (300 S. 6th Street), including classic movies, trivia, fitness classes, the Downtown Farmers Market, food trucks, music and more. Don’t miss out this summer! 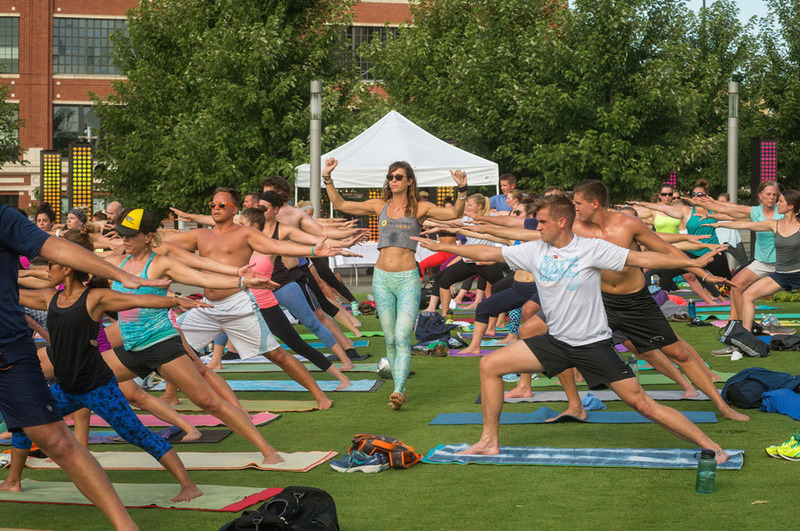 The full activities schedule is listed on this page. 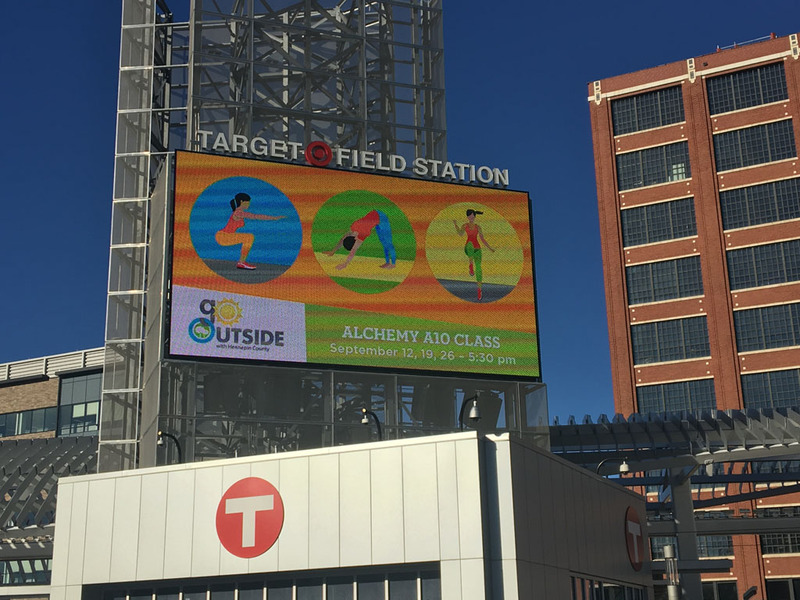 Get ready for another season of Go Outside with Hennepin County! 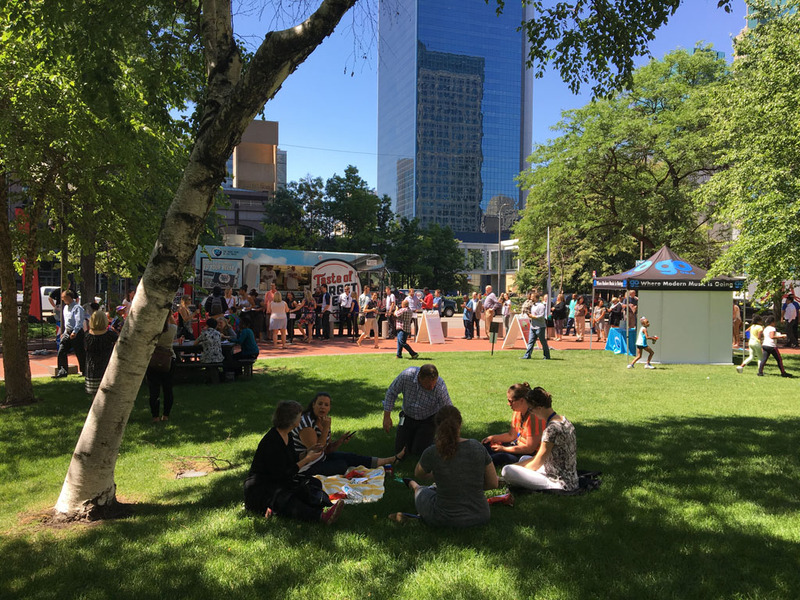 COMING SOON: Beginning May 7, Hennepin County Government Center South Plaza will host the Mpls Farmers Market weekly on Tuesdays from 10 am-1 pm. 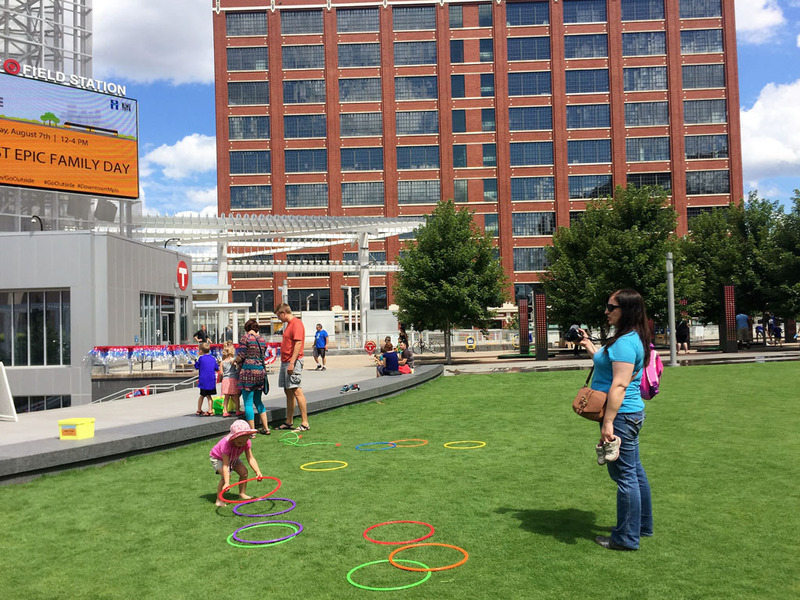 Beginning May 7 and running through the summer, the Downtown Farmers Market will be on site at South Plaza again in 2019. 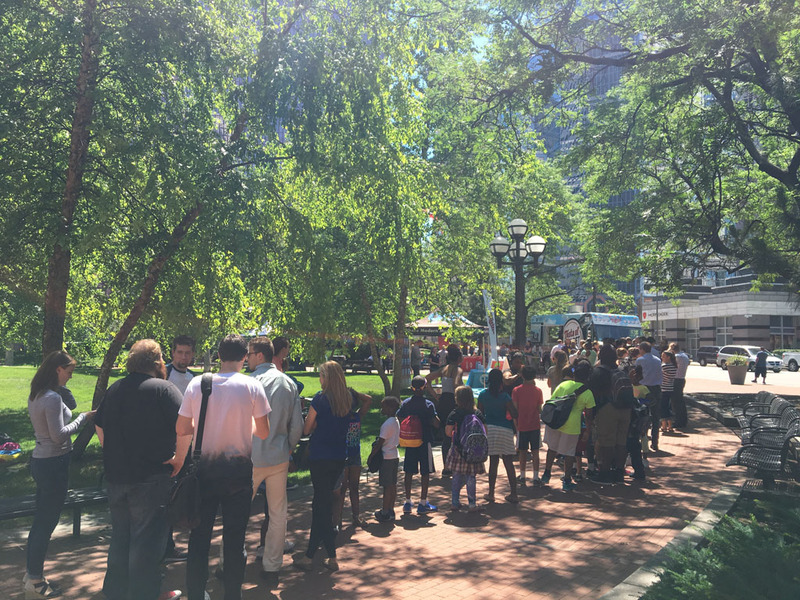 The farmers market provides a great way to bring people together on the South Plaza lawn to browse fresh produce, flowers and more. The farmers market has a wide variety of friendly local vendors that have great products to share. 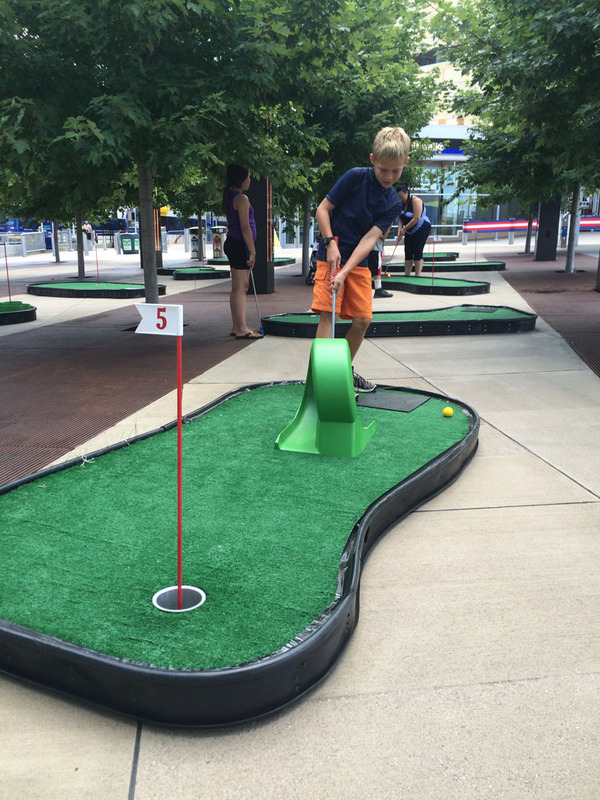 Every Wednesday, South Plaza will be transformed into an outdoor recreation room! 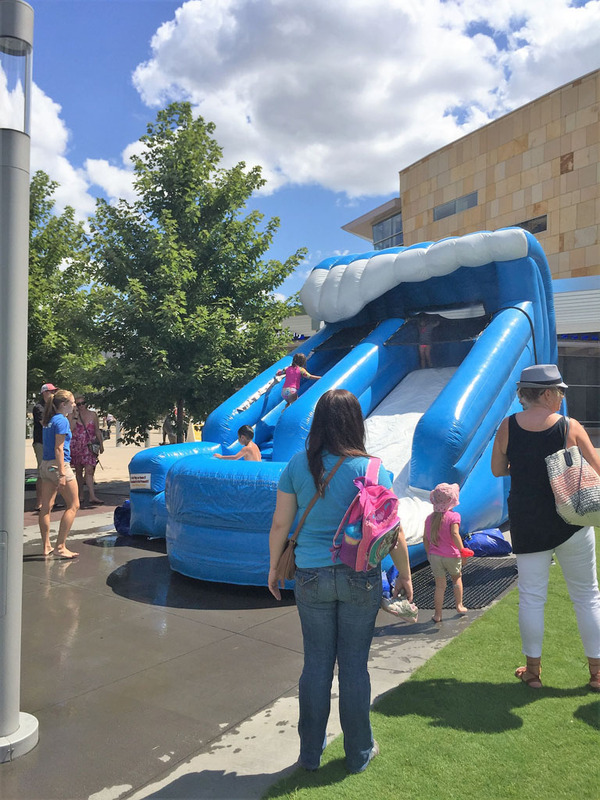 The space will feature fun activities like yard games (bean bags, connect four, etc. 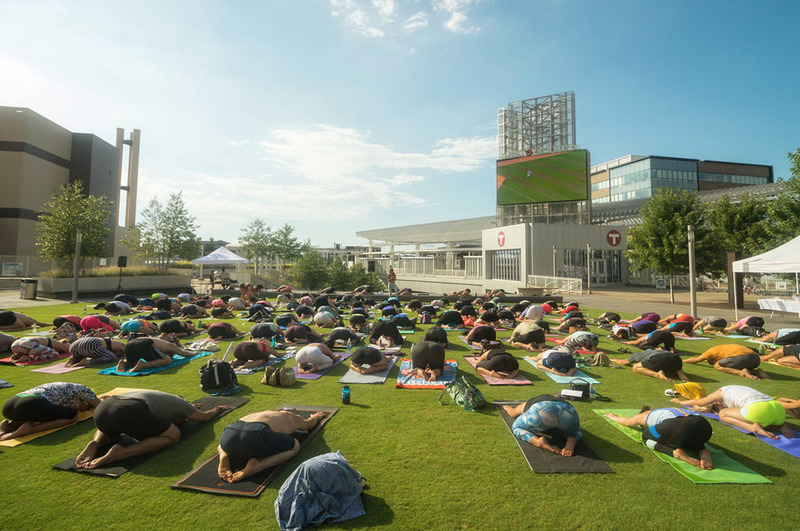 ), a meditation area with colorful blankets and yoga mats there for you to enjoy a brief get-away, special options for food and entertainment, and the Pianos on Parade piano if you’d like to play a song or two yourself. Stop by for piano performances each Thursday throughout the summer from 12-1 pm during your lunch hour! Grab some food and enjoy a gift of music each week. Our full list of weekly performers will be announced soon. 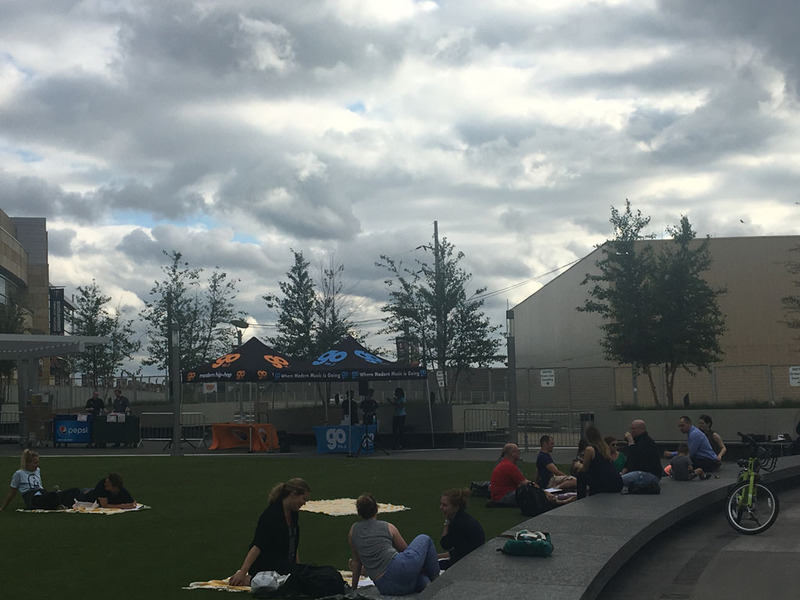 Plan on spending your lunch hour at South Plaza! 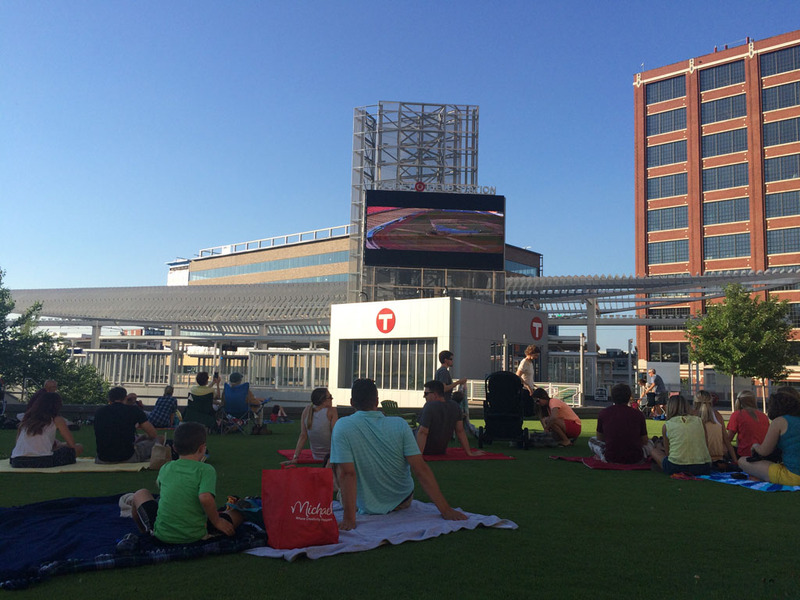 On select evenings this summer, you can enjoy outdoor movie nights at Target Field Station. 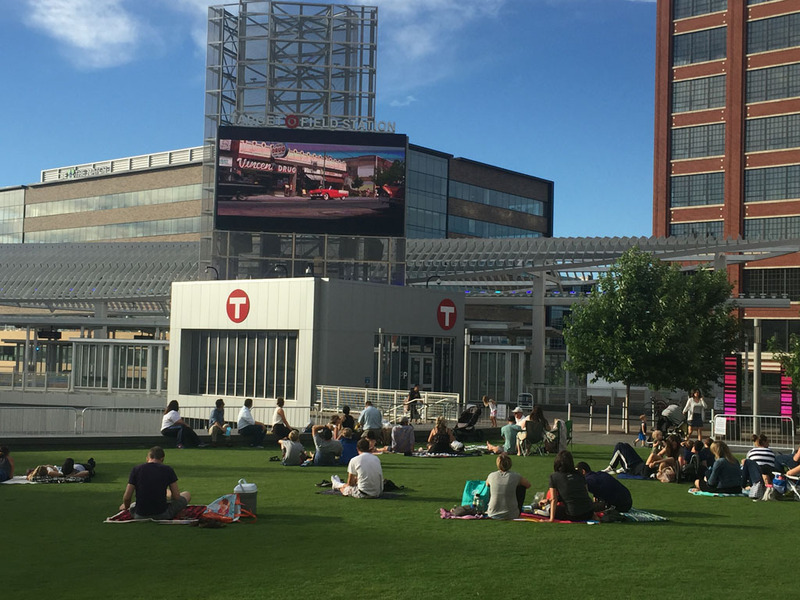 Bring a lawn chair or blanket, find a spot on the green grass outside the Twins’ ballpark and enjoy an evening watching a movie under the stars and the downtown skyline. Movie info coming soon. 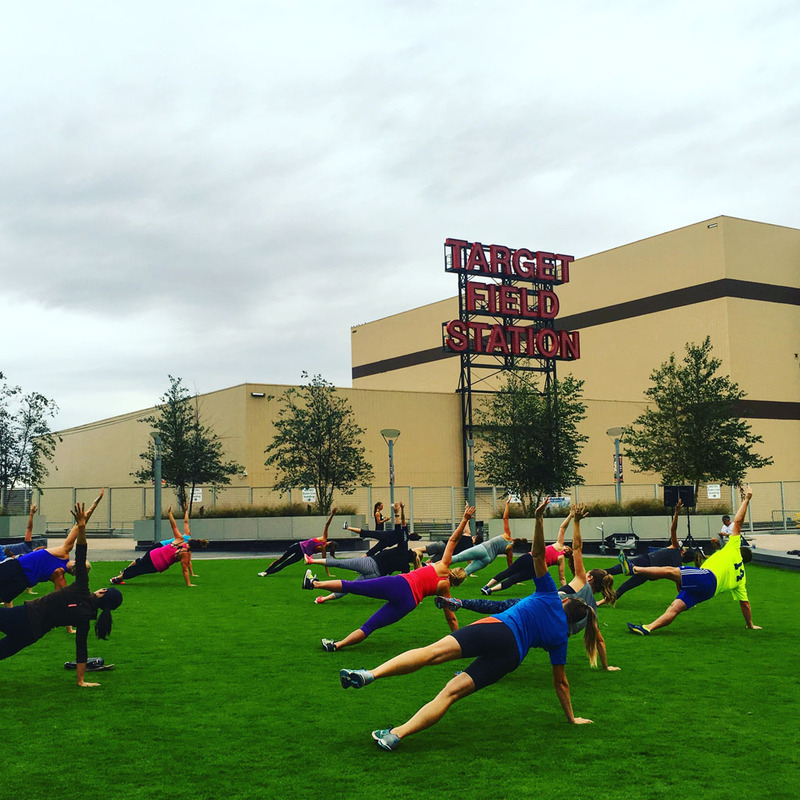 Trivia has always been a fun and trendy after work activity! 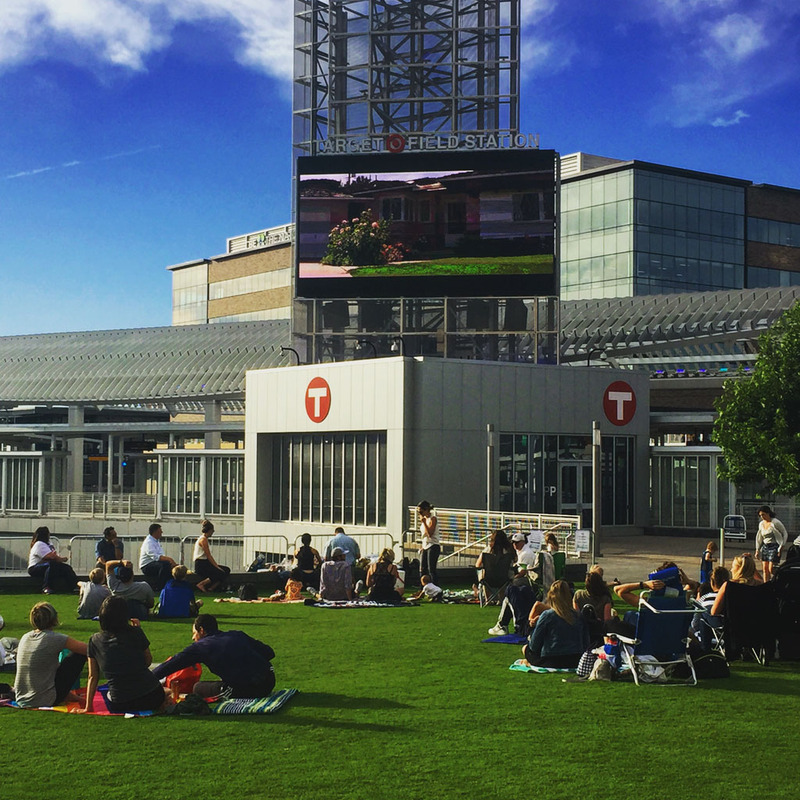 We are bringing trivia outside at Target Field Station on select evenings this summer. Gather a group of colleagues, friends or family and test your knowledge. Questions will be read aloud along with use of the big screen. 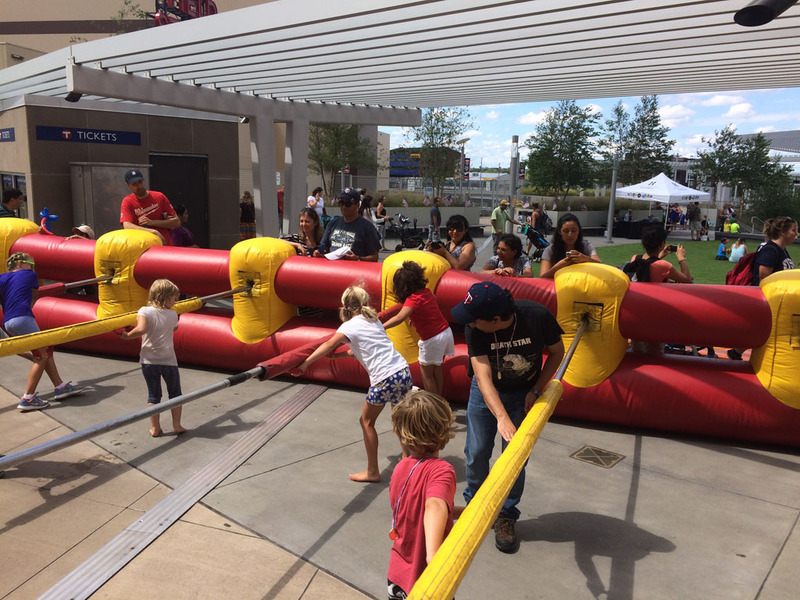 Throughout the summer, you’ll be able to enjoy family events like our Most Epic Family Day, which is always full of family fun activities, plus outdoor fitness classes on the Target Field Station grass and much more. 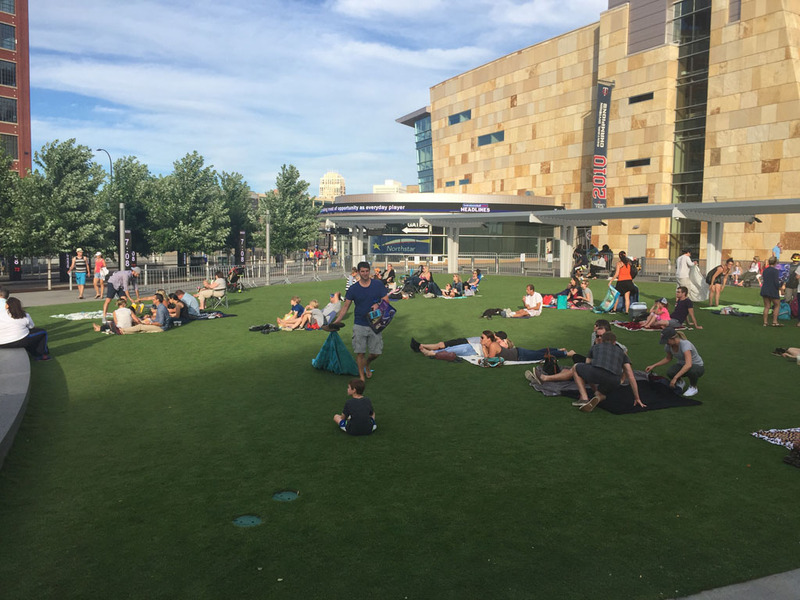 Target Field Station (335 N. 5th Street) is a dynamic transportation hub that connects Downtown Minneapolis with 500 light rail lines and 1,900 buses each day as well as the Northstar Commuter Rail. But it is also a major entertainment destination. 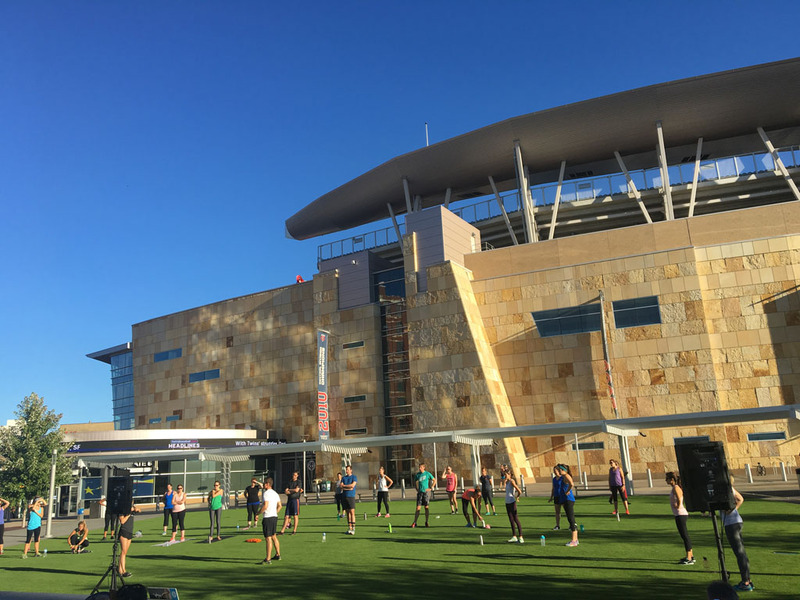 Opened in May 2014, Target Field Station offers a large green space for gathering, a big screen for movies and other viewing opportunities, and an amphitheater for musical performances. 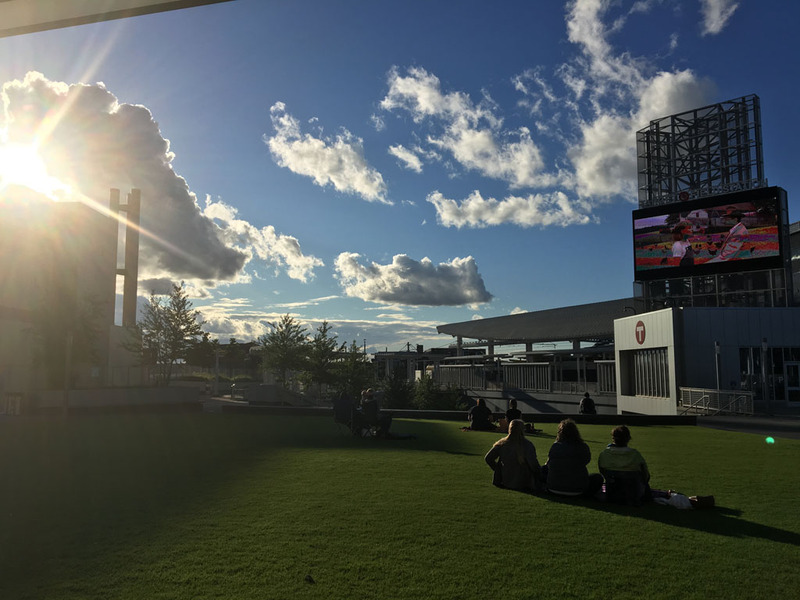 Located next to Target Field and nestled into the Warehouse District/North Loop, it is close to downtown residential communities, businesses, entertainment, dining, breweries and coffee shops. 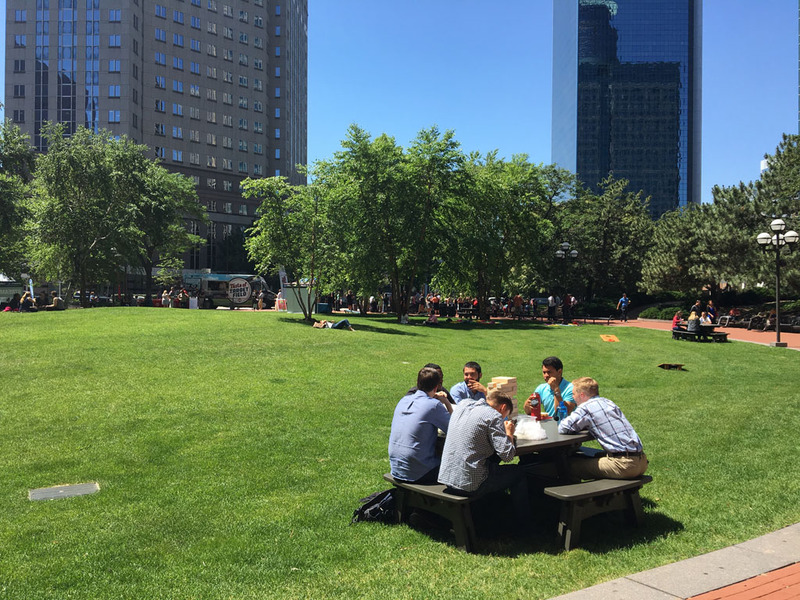 Hennepin County Government Center South Plaza (300 S. 6th Street) is a tree-lined, circle plaza with a grassy knoll located between 6th and 7th Streets in Downtown Minneapolis. 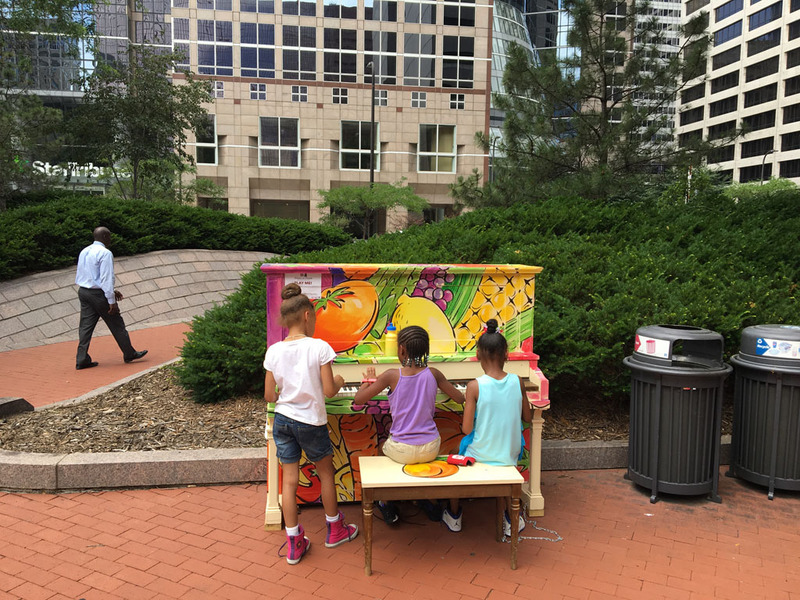 Stop by the Government Center South Plaza to enjoy an outdoor piano, added seating options and great special events each week. 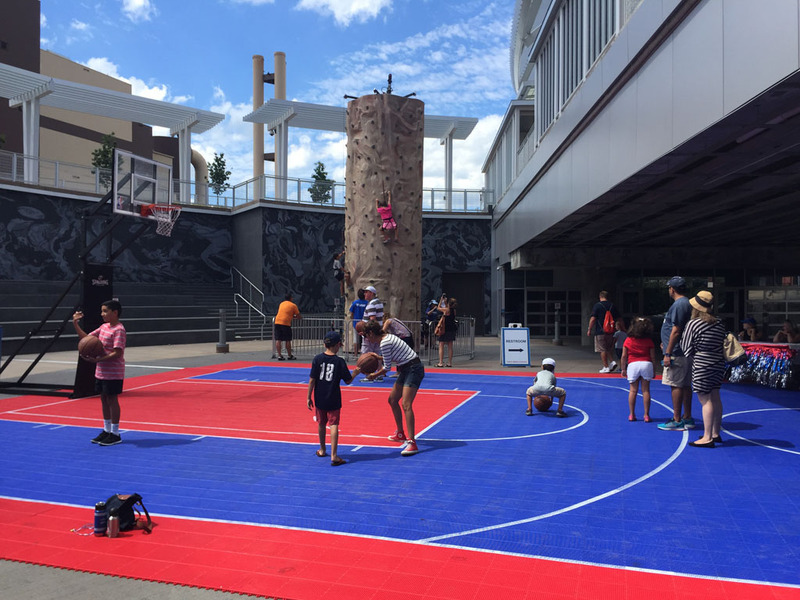 The Go Outside with Hennepin County program is filled with fun activities and events for all ages and abilities throughout the year. 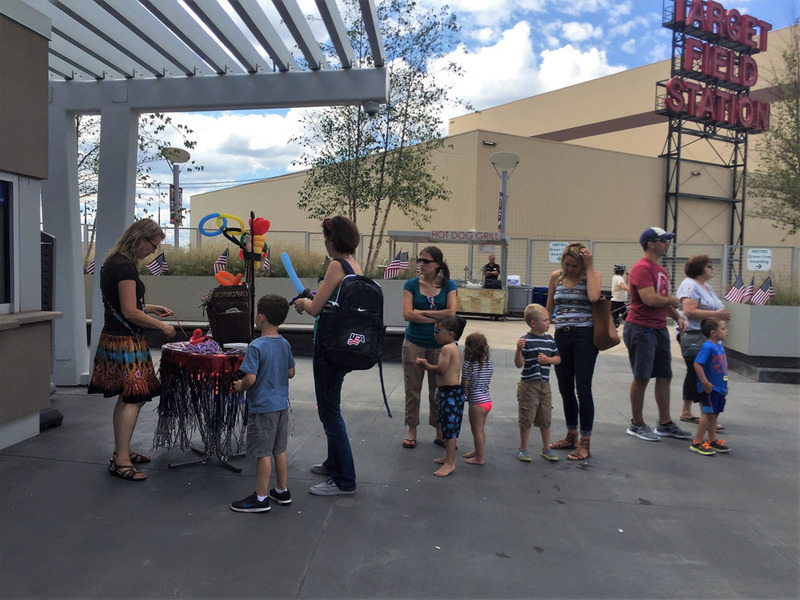 Stop by Target Field Station and South Plaza to get in on the festivities. 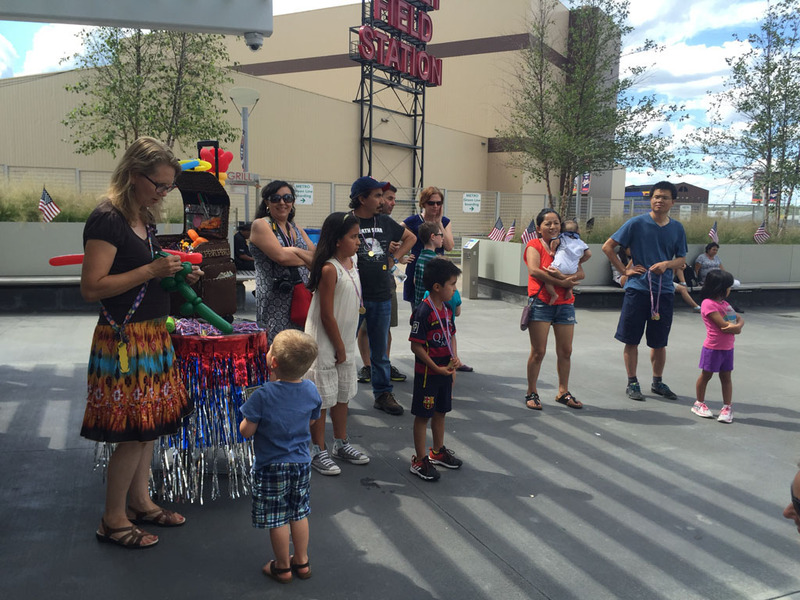 While you’re here, don’t miss out on the opportunity to share your experience with others. 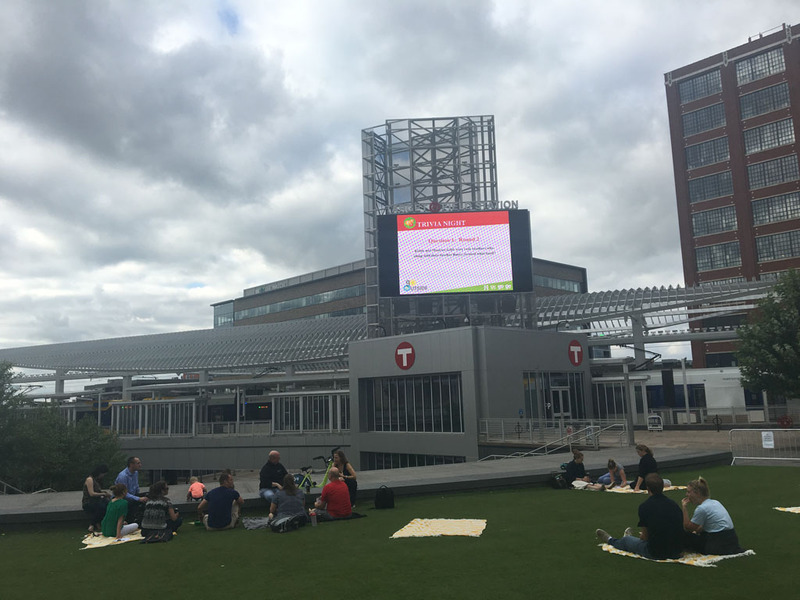 Invite friends, family and colleagues to come with you, and share your experience on social media using the hashtags #gooutside and #mymplsdt. 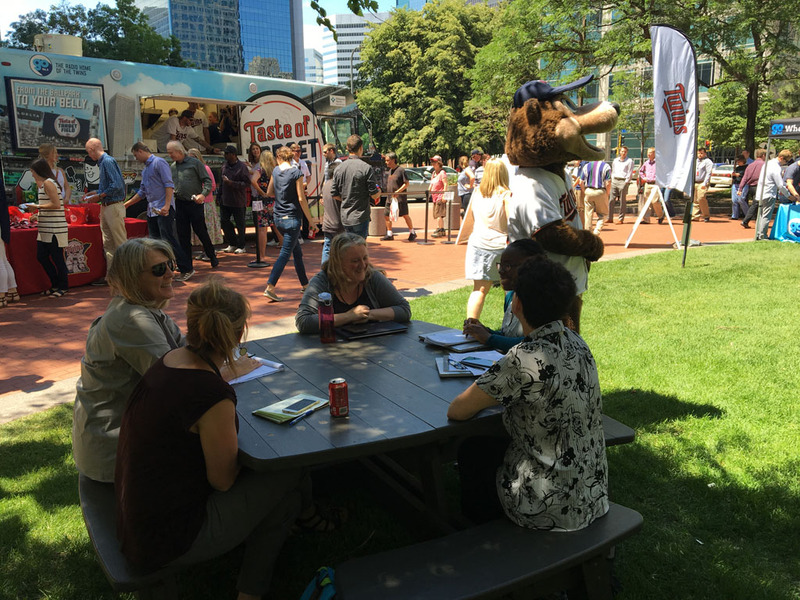 You can learn more by following @mplsdowntown on Facebook, Instagram and Twitter.